Cargo Bike Lane is about bikes and trikes that carry stuff. All are welcomed who would rather move their bundles by bike through the city and beyond. From bundles of joy to bundles of lumber CBL is here to provide resources to help you find the right bike for your needs. I'm Jerold, I love my home town and the town I call home. Bikes have meant adventure, freedom and easy living for many years. Here is what has moved me back to the bike at this particular stage in life. I drive a ton for work so the last thing I want to do with my evenings and weekends is drive to the grocery, dry cleaners or taxi kids different places when its all within five miles of home. Upon becoming a dad I wanted to take my kid with me on bike rides. A sense of style drove me to find something better that the gray plastic seat on the rack. Kids come with accessories and they eat a ton. I was on a quest for a bike that could keep up. As the 90's R&B group Tony! Toni! Tone! smoothly sang "It never rains in Southern California. One faithful day while walking down a street near Venice, CA. I saw the trike that started it all for me. The Haley Trike I saw that day didn't have a top. It was being pushed down the sidewalk by a mom with two little heads sticking out. A custom bench and front gate made it the perfect go-getter / kiddy mobile. My mind was blown! 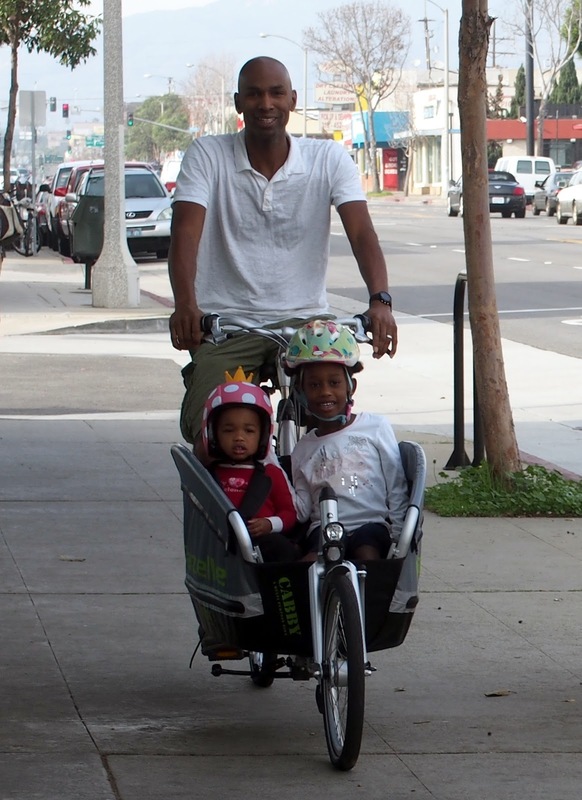 I soon found a Zigo Leader X2 in Culver City and that was my first cargo bike ride. Now I am sharing everything I have and continue to learn. This site is the sum total of all my research. 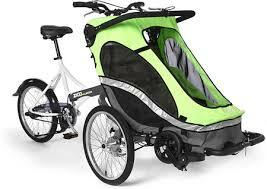 Please enjoy the site so you find the right bike for you and the power of pedaling your city.